Ice Cream is simply an Anglaise Sauce or Custard that is frozen while continuously stirring to prevent large ice crystals from forming. This recipe makes a very very rich dessert – because we are using just full cream rather than milk. I portion it after freezing, and serve it as a block in a ramekin with a small spoon – because seriously I can’t understate just how rich this dish is. Here’s a sample of my spoons – Serving, Dessert spoon, Teaspoon and the stupidly small Mini-spoon. As someone who likes food I have contempt for tricks like using small spoons to eat less – but with food this rich I find that’s how I prefer to eat this dish. 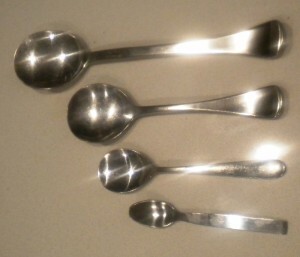 A small mini-spoon will deliver the all flavour of a giant serving spoons worth of commercial Ice Cream. The first is probably not that surprising – an Ice Cream maker. If you feel energetic you can certainly make Ice Cream without one, as long as you are willing to vigorously stir a thick mixture of fine ice crystals for about half an hour. Or you can buy one for under $50 that will do the job. Next you’ll need to create a double boiler to cook the sauce. This is just a glass mixing bowl that fits perfectly on top of a saucepan containing boiling water. The point is to gently raise the temperature to cook the egg yolks without turning them into scrambled eggs. Finally you’ll need to create a fridge chiller for the glass mixing bowl. 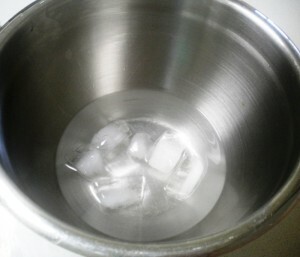 This is just a larger bowl (than the glass mixing bowl) with a layer of ice cubes and a little water in the bottom. To chill the glass mixing bowl, you just sit it in the larger bowl containing the ice cubes, and put the entire assembly in the fridge. 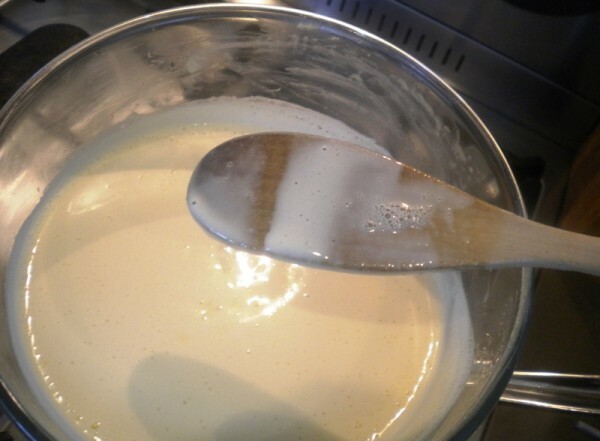 This is a basic Creme Anglaise recipe using cream instead of milk that will be the base of most of our Ice Creams. It takes 3 days before you can eat it ... I hope you'll agree it was worth the time spent. Split the Vanilla pot down the center with a knife and scrape out all the seeds. You'll use both the seeds AND the pot when flavouring the Cream in the following recipe, discarding the pod once it has flavoured the sauce. Add the Cream and any flavourings (eg: Vanilla seeds and Pod) to a saucepan on a gentle heat and cook while whisking gently until bubbles just start to form at the edge. 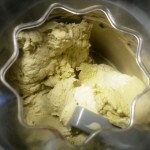 Remove any flavouring components that you don't want in your Ice Cream (eg: Vanilla Pod). Boil some water in a saucepan, then reduce the temp until the pot is just simmering. Place the glass mixing bowl on top of the simmering saucepan. 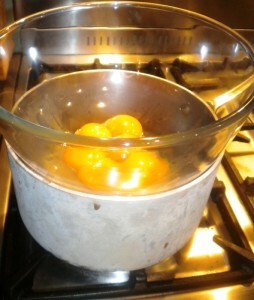 To the glass mixing bowl add 6 Egg Yolks, and a cup of sweetener. Whisk the mixture while it is being gently warmed by the simmering water to cook the Yolks. The time will depend on the heat of your stove - mine takes about 10 minutes. 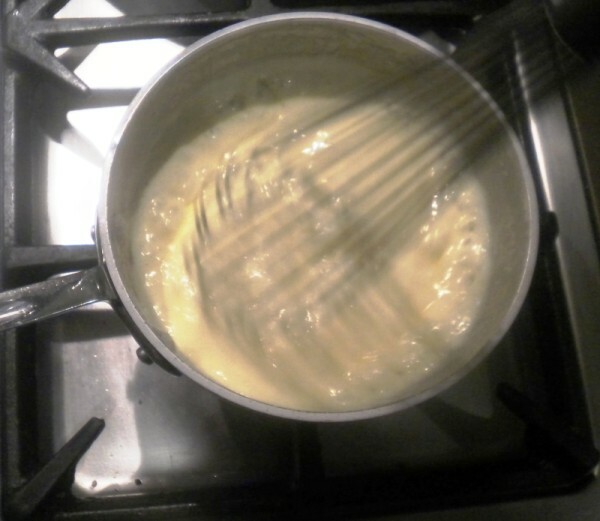 Ladle the heated Cream into the Egg Mixture while whisking making sure to blend any lumps of cooked egg yolk. 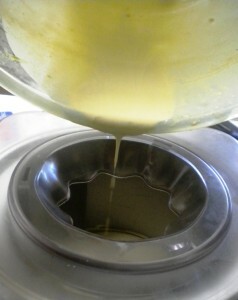 Cook the mixture while whisking until it starts to thicken. You can use the wooden spoon test to see if the liquid is viscous enough to coat the back of a wooden spoon. Simply remove some from the spoon with your finger and hold the spoon vertically. If the line you marked remains distinct after a few seconds it is ready. This is your last chance to taste the sauce and add more sweetener or season it, get it just right. Now you need to rapidly chill the cooked Anglaise sauce while whisking - so put some ice cubes in the larger bowl and put the glass bowl into that, and whisk until the mixture cools down. 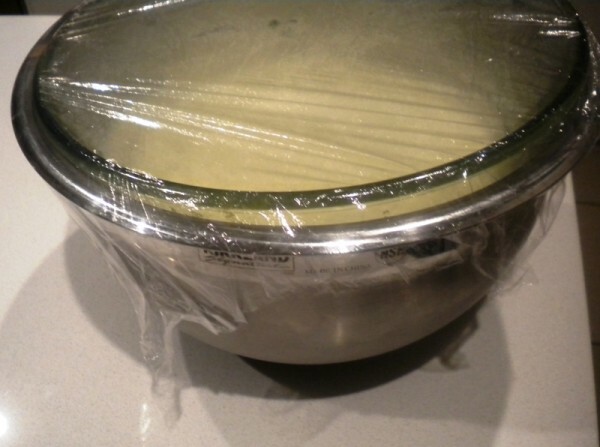 Cover the Bowl with cling wrap and refrigerate overnight. Follow the Ice Cream maker's instructions to mix the Anglaise mixture while freezing it. Add Any Swirled flavourings or textures. 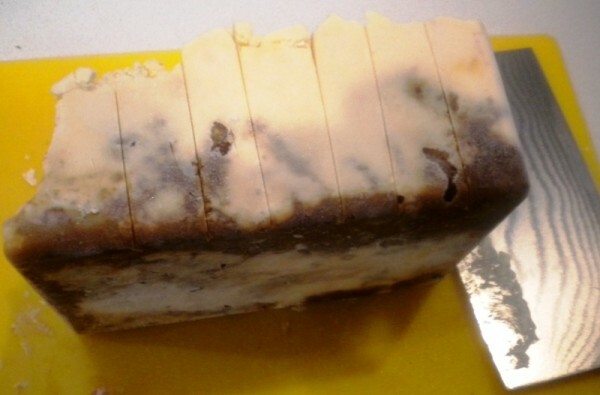 Once the Mixture has hardened move to a rectangular plastic container and freeze overnight. When the Ice Cream has hardened you can remove it to a chopping board and portion it with a cleaver. I generally make 16 servings because it is easy to calculate by halving lengthwise several times. I’m going to try this on the weekend. One question: did you really mean 1 cup of sweetener? It’s all pretty much to taste – the egg in the anglaise is cooked so you can dip your finger in an taste it. 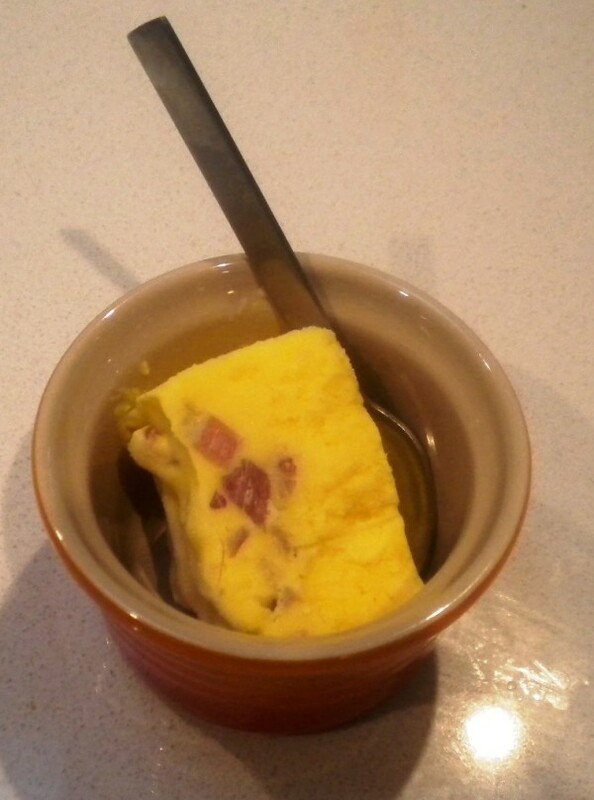 I have tried half a cup of Cooking Splenda but found it to be not quite sweet enough, except when I made the Bacon icecream. For the rest of the ice creams the 1 cup of Splenda was plenty sweet. I have made this basic recipe flavoured with Bacon and Maple essence, Matcha with Black sesame seed, White Chocolate essence with Raspberry Chia swirl, Mojito (Mint herb, Rum essence and Native Lime pearls). I’ve also made a Pina Colada ice cream using Pineapple essence but I replaced the 600 ml of pure cream with 400 mls of Coconut cream and a cup of pure cream. 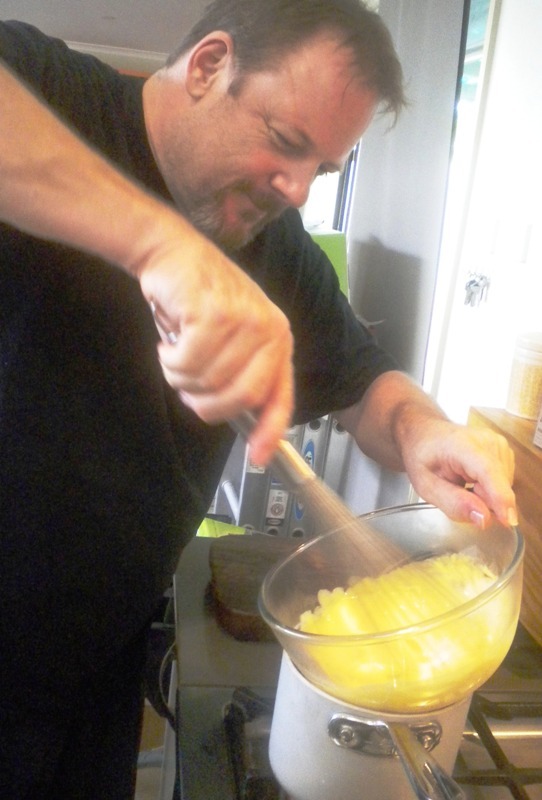 Also awesome – the trick is cooking the eggs and making a real custard. Love your podcasts! Can this recipe be made with xylitol? I know it is toxic to dogs, but I still need to know if i can use it. Thank you! Sure. The only thing the sucralose is contributing is sweetness, so you can use any non-nutritive sweetener. I’d make a peppermint crisp like a toffee using erythritol with Mint essence and then add it at the end of the process to chocolate or plain ice cream.